Are you curious if you’re treating your hair in the wrong way? Hair is the most fundamental part of a human being when it comes to physical appearance. When a child is born, everyone expects to see hair on their heads. When this expectation fails, people tend to speculate about certain health problems in the child. This is the same case with a human adult. The moment your hair starts shedding off or balding, you will start getting cautious of everything you do including the products you use on your body or the lifestyle you take. People should become more aware of the products they use on their heads as they reflect on their hair. Healthy shafts show that the person is groomed enough to realize that their body is the priority. Unfortunately, the reverse is true; thin and unhealthy hair shows a lack of care or use of wrong things on your head. However, this article will highlight some of the products that continuously destroy your hair. Continue reading to know them. In instances when one fails to take a shower but still want to look cool, the dry shampoo becomes the best friend. However, you need to realize that this miracle packed in a spray bottle does more harm than good to your locks. The main disadvantage of this shampoo is drying up your hair leaving it vulnerable to the weather. In the end, your shafts become weak and brittle making them easier to break. Though you might not entirely avoid them, never get used to them for the sake of your strands. In those days of dry winter, we are always tempted to deep condition our dry scalps and roots. This treatment leaves our hair looking all healthy and shiny. Nevertheless, don’t make your recommendations during this process; stick to the prescription to avoid overdoing it on your hair. Deep conditioner rich in protein is known to cause an imbalance in the pH levels of your hair causing an opposite result of what you always expect. In the end, your hair will break off leaving you with uneven patches of hair. To avoid this hustle, use coconut oil every week to improve on your hair maintenance. Once you realize that your hair is breaking effortlessly as you grind your fingers, the worst part would be exposing it to more harmful products such as sulfates. Sulfates are known for their ability to break down proteins found in your body which eventually leads to stagnant growth of your hair. For this reason, always look for products with sulfate-free ingredients such as pureology hydrate shampoo. When people use these products on their heads, their aim is mainly to make their hairs fine and softer. Fine hair has fewer cuticles as compared to thick shafts thus making it prone to external pressures such as strong winds and sun. Instead of this, you should look for products that improve your hair texture. This is one of the ingredients found in almost every hair product. It is commonly used due to the shiny and smooth feel it leaves on the hair. Unfortunately, damages also come hand in hand with the right results as one is left with brittle hairs and irritating scalp. Mineral oil is a derivative of petroleum and has been used in many beauty products. Though the ingredient might be helpful in other parts of the body, it is a risky product for your hair. This is because of the clog they form in your pores. Moreover, they lead to prevention of air contact with the skin, and also cause irritation. Before you make a purchase on hair products, look out on the ingredient section of each and do away with them without giving it a second thought. There are many types of phthalates used in many cosmetics today. The major combinations of this chemical is Dibutyl phthalate (DBP), dimethyl phthalate (DMP), and diethyl phthalate (DEP). Most of these components are found in soaps, sprays, moisturizers, and shampoos. Once they come into contact with your head during application they cause various problems with the rest of the body such as your reproductive system and tampering with your endocrine glands. These are fundamental parts of every human being hence the more reason to protect them from such destructive products. Most of us will never classify fragrance in our list of ingredients. The main reason is because we have reasons to hate or love a certain smell. In fact, some are so obsessed with strong fragrances to the extent that they tend to sideline the plain/ flat products. However, you should know that fragrances pose a threat in our bodies from many subjects. These issues range from allergies, dermatitis, respiratory and productive problems. Truth is you will never avoid them since they are already incorporated in most of the products. Nevertheless, you can still make an effort to avoid them by researching on a product before paying a dime. Always learn to stay away from things that can easily find an alternative for them. In most articles, you will find them advocating for generous use of proteins on your hair. The science behind this is to strengthen the keratin in your strands and to make them look healthier. Though proteins are very vital for hair growth, you should remember that too much of anything is always poisonous. 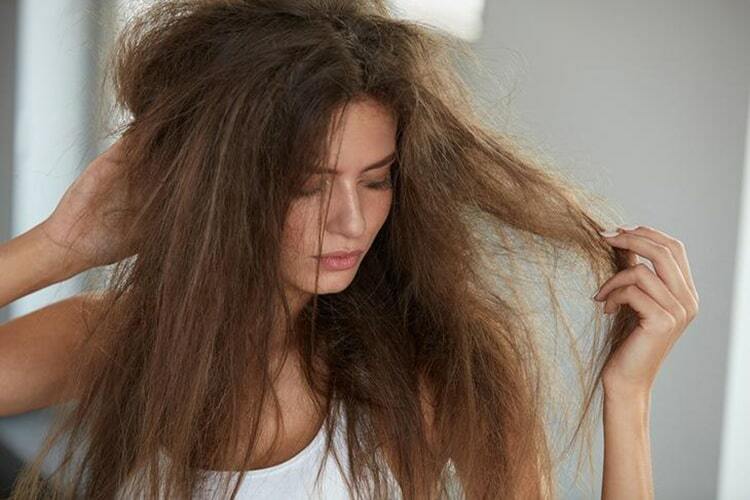 Excess usage makes your hair to dry and brittle. The protein deteriorates the cellular structure of the hair making it more vulnerable to external pressures. In the end, you will notice an increased breakage rate of your hair. Examples of some of the products you should look out for are Cocodimonium hydroxypropyl hydrolyzed casein, keratin, Cocoyl hydrolyzed collagen and many more. Silicone products contain a special substance that coats your hair to ease the detangling process. Unfortunately most of these products are insoluble in water thus increasing build-up in your hair over prolonged use. After some time, these ingredients will block moisture from getting inside your shafts. Fortunately, you can single them out since their names are quite unique. Most of them end in -cone, -nol, or –xane. Examples are Amodimethicone, Dimethiconol, and Cyclopentasiloxane. Fashion has brought a lot of changes in a human’s life. Most of us will do anything possible under the sun to look beautiful. Unfortunately, we all make mistakes of choosing the wrong products as a result of ignorance or being compelled and confused by marketers. Some of us are born with hair colors that rarely interest us once in a while. To cover this, we tend to dye the strands either permanently or semi-permanently. What we don’t know is that several scientific studies have already linked these dyes to health problems such as bladder cancer and multiple myeloma. In fact, some researchers have already tried this theory on rodents. The results were evenly shocking. The rodents that were fed with compounds found in most dyes were diagnosed with a higher likelihood of developing cancer as compared to the rest. This also applies to human beings; people who use too much strong dyes expose their cells to some of these predicaments. Parabens are ingredients that tend to extend the shelf-life of a product. This means that most of these cosmetics are in good condition simply because they have preservatives that give them life. This can be likened to food in refrigerators. The device works by interrupting the hormones such as estrogen. Some of the major parabens to avoid are Propyl-, isopropyl-, butyl-, and isobutyl-. The problem with parabens is their long chains that take longer to break down by body chemicals. In addition to this, they tend to interrupt with body chemicals and hormones, and especially the endocrine system. After continued use, you will be unlucky to experience problems related to your reproductive health. In addition to this, you might experience extreme repercussions on development disorders. Before making any purchases on beauty products, we ought to check each chemical in the ingredients. This will help us to sideline all the products with harmful elements that lead to further destruction of our shafts. The best way to treat your hair is by choosing organic products such as coconut oils. Additionally, don’t be the kind of individuals who rush to treat their hair after massive destruction.